What is Blu-ray Green Lines Issue? How to Use Leawo Blu-ray Player to Solve Blu-ray Green Line Issue? As a movie enthusiast, you must be fond of Blu-ray Discs which could allow you to enjoy a superior quality video. However, you may also meet some problems while playing the Blu-ray playback. One of the most common problems is about the green lines appearing at the bottom of the screen. It is easy to find that this issue is quite popular among Blu-ray users. Somebody may get a green line at the bottom of the screen during the Blu-ray playback since he installed the lasted update for PowerDVD 8 Ultra. Or some users would like to expect a better video picture, then he will choose 1080P resolution which would also bring out the green line on the left of the screen throughout Blu-ray playback. Well, what are the reasons for Blu-ray green lines? And how to remove these Blu-ray green lines? Moreover, the problems may also appear on Sony, PS3 and Samsung TV quite often. 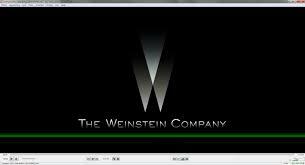 A Sony KF-50WE620 user said, he would get the green vertical lines when he used the input 5, 6 and 7 especially during the Blu-ray playback. Another person also reported the same problem when he is using his PS3 player and he could see a vertical green line on the left side of screen and he has no idea about it. Actually, throughout all the above situations, the causes for Blu-ray green lines may fall to the following parts. Firstly, it may due to the input signal. You can try to reset the TV cable and check the Blu-ray playback is complete and not damaged. Secondly, you can check the internal connection of circuit boards. Maybe one of the connection is loose. Just reset the connection one more time and reassemble the TV. Lastly, the problem may be caused by the inappropriate output resolution setting. Sometimes your TV may only support 640×480 resolution instead of 1080×720. You had better make sure the internal Blu-ray player could allow you to play HD playback. Well, just as mentioned above, sometimes you must obtain a powerful Blu-ray player for you to play Blu-ray playback without any incidence. Here, if you use Leawo Blu-ray Player, you will not meet the Blu-ray green lines during the playback any more. 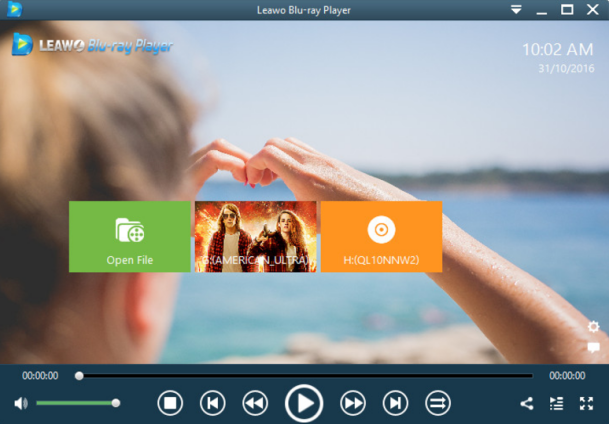 With advanced image and audio processing technology, Leawo Blu-ray Player software delivers superb movie experience, offering you cinema-like enjoyment with your home theatre system. The 6-in-1 free media player supports all the video formats, including MPEG, AVI, MP4, MKV, HD MOV, 1080P and 4K etc without any quality loss. It can support the whole Blu-ray playback without any green lines on the screen. Leawo Blu-ray Player could be the best alternative when you are troubled by the green lines while playing Blu-ray on TV. What’s more attractive is that Leawo Blu-ray player allows you to customize the video according to your own beauty-appreciation. It can be regarded as your best Blu-ray video player. For the detailed tutorials, you can refer to the following. Step 1. Download Leawo Blu-ray player and install it. Step 2. 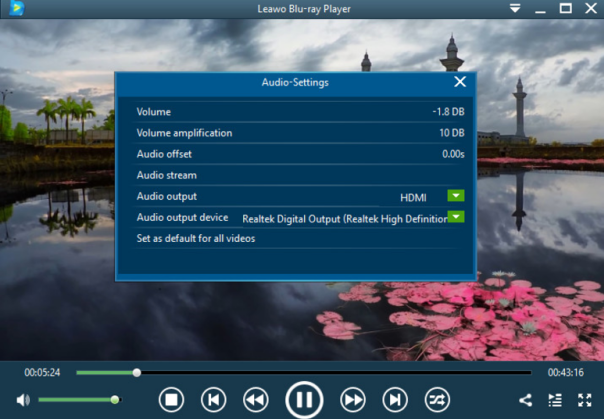 Enter the main interface and load Blu-ray playback on the computer by clicking the respective buttons on the screen. When you have imported the Blu-ray playback, then you can see the loaded Blu-ray file on the playlist. Step 3. Set subtitles. After loading the Blu-ray video, the video will play automatically. During the playback, you can move mouse to the title area. Then you could see 4 icons for subtitles setting. Step 4. Set video and audio parameters. Click the “Videos” icon on the top-let corner, or right click on the main interface and then choose “Videos” option to enter the Video Settings panel. As the same, you can click “Audio” icon on the upper-left corner to DIY the audio output effects. The editing features of Leawo Blu-ray Player could allow you to obtain a customized video and will give you more special watching experience. It is quite easy to play Blu-ray playback by following the above steps, isn’t it? 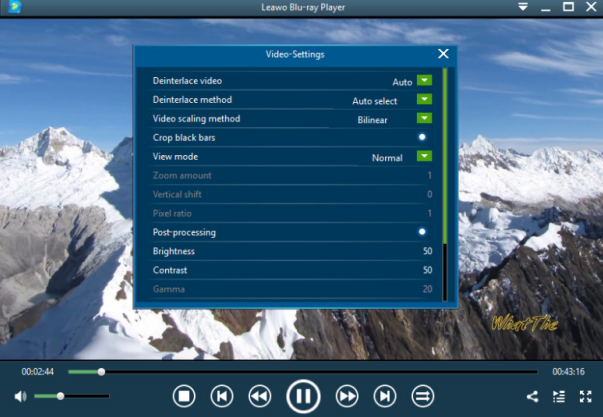 This free Blu-ray Player software supports to deliver quality-lossless video images with resolution of 720P, 1080P, 1080i and 4K (2160P). Its practical bonus features including virtual remote controller, useful power manager, custom skin/language and snap screenshot will provide you a better movie night. Just enjoy it! 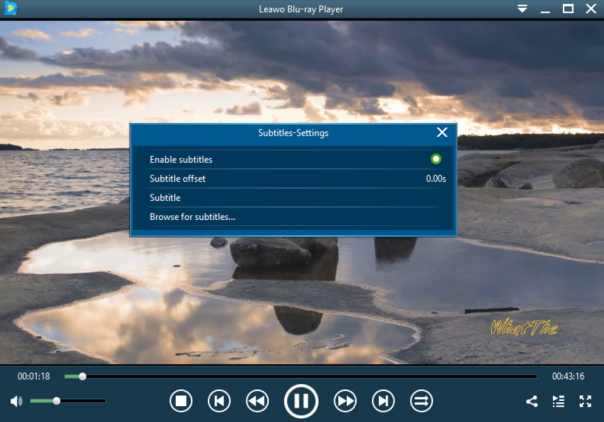 Except the player mentioned above, you may be interested to know the other 5 best free Blu-ray player software on the market for reference.